Music is important to me. I don’t play an instrument, but I like to listen. At varsity in Dunedin the gigs kept me warm. Over the years I built up my record collection, boxes and boxes of LP’s, EP’s and 7 inch singles, only to lose everything in a burglary. Travel and family commitments intervened. Time passed. CD’s replaced records, and records gave way to MP3’s. A disk crash deleted the MP3 collection, and I started again from scratch. Starting again was difficult. I found myself buying the same music. Boring. I read music magazines to find out what I might like, but I didn’t learn much. The radio wasn’t much better. I visited record stores but just got lost, rows of bands I had never heard of. I resolved to spend 12 months listening to as much music as I could; where possible avoiding bands that I knew, trying to find out what was out there, and what I liked. By 2007 there was no shortage of music to listen to. Music blogs share the tastes of 1000’s of music lovers. I joined Emusic. To keep track I burn MixCd’s, 21st Century mixtapes. The CD’s catalogue my exploring. I give them to friends. Sometimes they email me back with comments and suggest other bands to listen to. Eleven years on (good grief) here is a website to share my love of music. Enter your email address and receive notification of new mixes by email. 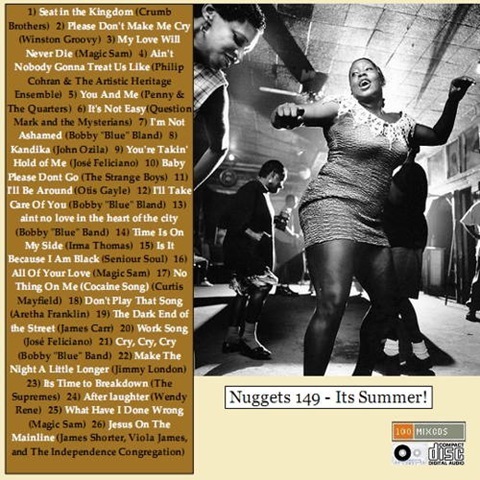 Nuggets 290 – Jangle Pop! Nuggets 238 – Jangle Pop! This mix has been simmering for a while. 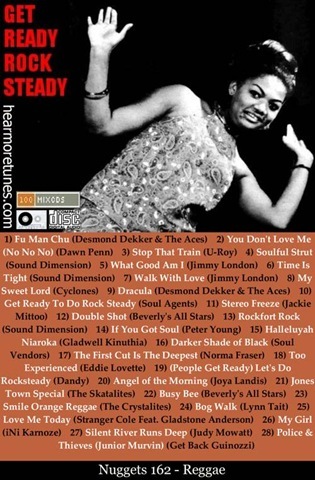 Rocksteady is a successor to ska and a precursor to reggae. Pic to come. Nuggets 149 – It’s Summer ! Inexplicably I made this a couple of months ago when it definitely wasn’t summer. Wishful thinking. Anyway, given that the below Soul mix finally made to the web, here is a similar mix I made earlier. Proudly powered by WordPress. Theme: P2 by WordPress.com.